As our previous customers will tell you, our service is reliable, trustworthy, professional, and efficient. 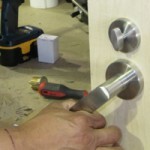 All of our locksmiths and technicians are fully-trained and experts in their field. 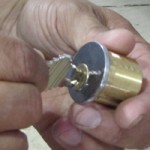 Furthermore, we provide one of the best value locksmith services in the region. We provide Oshawa residents with traditional locksmith services, including key cutting, lock installation, and security feature fitting. As well as those tasks you would expect from a locksmith, we also provide the likes of garage and patio door fitting, burglar alarm installation, and security check-ups. Of course, we also provide assistance to those that find themselves locked out. Our services are open to Oshawa businesses also. As with our residential customers, businesses in the area can benefit from our traditional locksmith services as well as modern services, including high-tech security solutions. An automobile locksmith might not be the first thing that comes to your mind, but FC Locksmith provides locksmith assistance for those experiencing trouble with the locks or keys on their car, or other vehicle. This includes lockout assistance. We are proud to serve the people of Oshawa and the surrounding area 365 days a year – 24 hours a day. Our emergency locksmith service can be with you in a matter of minutes, ensuring you get back to normality sooner rather than later. Whatever your locksmith requirements, contact FC Locksmith today.